To be able to breath fresh air and see a beautiful mountain silhouette every day is something that, at that time, I was taking for granted. I took it as normal. But as I grew older, I started to appreciate the beauty. My parents used to take us (my brother and I) to the mountains regularly, whether it was just to walk through the forests, trek to waterfalls, mountain peaks or just go for a coffee and soak up the atmosphere of the ‘’moutain-ness’’ as we used to call it. My dad always used to say to me, wrap up warm because the ‘fridge (mountains) is open again’. If I didn’t listen, I definitely knew about it later. The feeling of burning sensation on my fingers didn’t wait for me too long and I deeply regretted my decision to take those fashionable woollen gloves instead of proper ski ones. You live and you learn! Now I know what to wear and no, it doesn’t mean if it’s sunny up there, you can just stroll in your converse and shorts. You may be just fine for an hour but when the weather decides it wants to snow in the middle of May, trust me it will. l! I was trying to say that to my friend Rob a year or so back in December when we went and took a cable car from Tatranska Lomnica to Skalnate Pleso. But he wouldn’t listen. The cable car was an open kind so you can soak up the air and nature more. He soaked it all up in his thin autumn jacket, literally. But when we got there, he forgot about how freezing he was and couldn’t believe his eyes. He said he’s never seen anything like it! The views were spectacular, skiers and snowboarders were rushing down around us. The wind was pretty strong and we decided to have a hot chocolate and some coffee in the little restaurant on the peak. Ella, the five year old, was brave as ever and loved every minute of it. I have to admit, having done this route numerous times, but I still had to put my brave face on. We ended our day by having a lunch at Crazy Bar in Poprad and buying a winter jacket for Rob. The family decided to spend their Christmas break in Slovakia and I promised them that I’ll make their trip unforgettable. 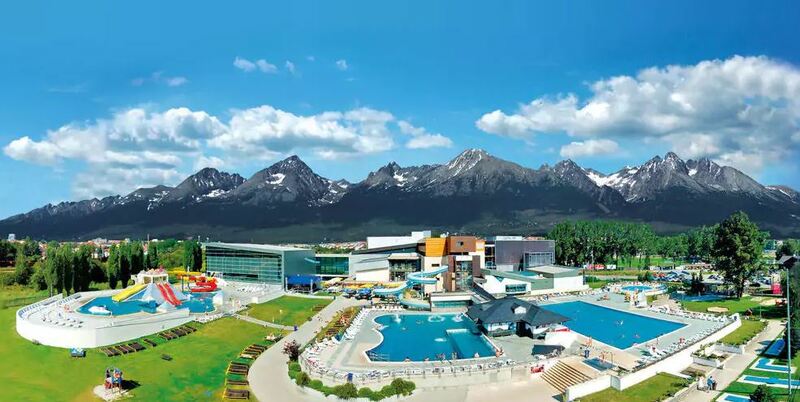 One of those experiences also was visiting Aquacity Poprad. This was done on 1st January 2018. Yes, they were open, to everybody’s relief as shall we say, we celebrated a little the night before and watched how crazy Slovaks are about fireworks! While Ella was having a blast at the waterpark’s Treasure Island, the grandparents went off to the Wellness paradise for couple of hours. The rest of the crew enjoyed themselves in jacuzzi and watched Ella. We all then went and had our lunch at the restaurant and watched a laser show in the evening. It’s crazy to think that you can spend all day in a waterpark. Everything is there and you can even pop out, have a relaxing few minutes in heated outside swimming pools or for more adventurous, giggle away on the water slides. I helped them to hire a car as well. It was much easier that way because we could go anywhere we wanted and do whatever we felt like. Once again, Ella really surprised me! I never knew a five year old can be so adventurous and brave. We decided we’ll try the sledging at Hrebienok one day. What I didn’t realise was that it was so cold that the sledging path was nearly frozen. You probably know where I’m going with this. Ella desperately wanted to go with me but I am an adrenaline junkie and love speed. We went soooo fast and she giggled so hard that it made me want to go even faster. I am however a responsible adult and so we maintained a good speed! She got a little upset because of that stinging fingers pain mentioned above. A (not so little) cake and white hot chocolate in a near coffee shop made it better though. To hire those sledges was only 5 euros per head but be aware of the queues people. Again, very memorable experience for my English friends. How do I know it? One look when we all met at the sledging finish line – all smiling from one ear to the other! 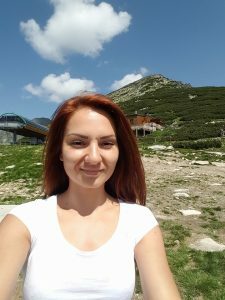 They stayed at lovely local hotel in Spisska Sobota, Poprad. This was about 10 minutes walk to Aquacity Poprad. Very convenient! Just a little pearl of wisdom for you, Spisska Sobota represents one of the best preserved medieval urban units in Slovakia. 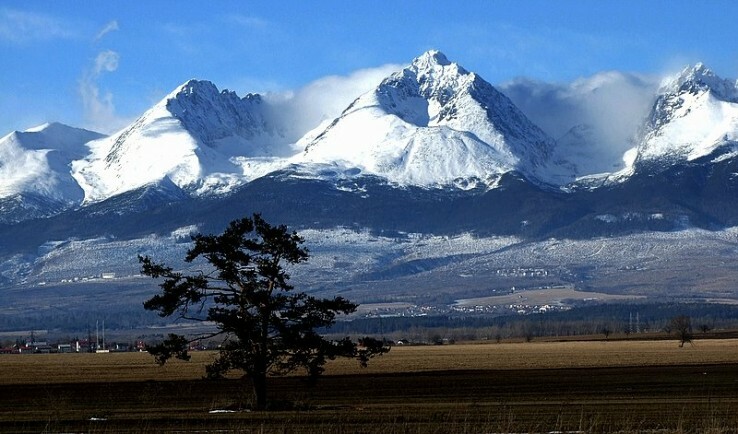 Experience of having my English friends over in Poprad and High Tatras have made me very proud and satisfied. Satisfied that Slovakia has so much to offer and a huge potential for more tourism than it currently has. I want to show all of you that in Slovakia, there is something for everyone. Make it your next holiday stop, you won’t regret it!